One of my favorite parts of fall is the food. Well particularly the apples. I am not a pumpkin in recipes type of gal, so a lot of may fall recipes include apples. 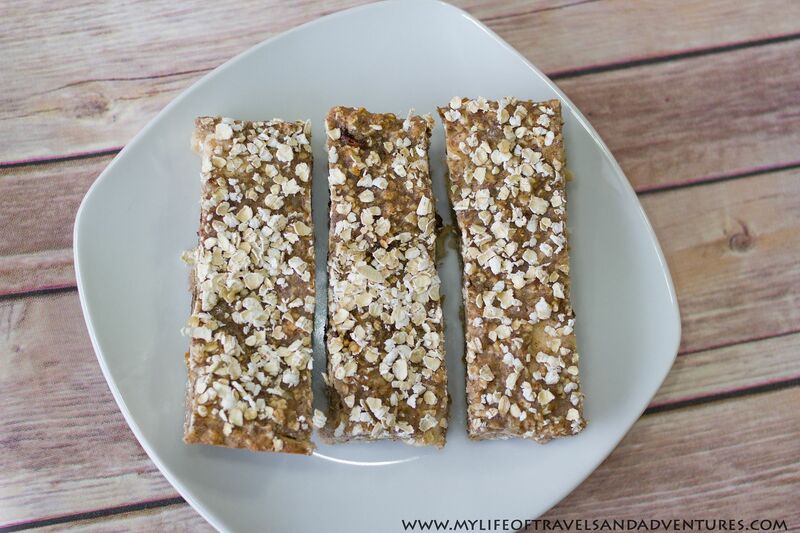 These Apple Cinnamon Oat Bars are perfect example of fall in a bar. To me at least. Apples and cinnamon for the win. They are super simple to make and can be stored in the freezer for weeks. Making them the perfect snack. 2. Grease and flour a 9x13 pan. 3. Mix the eggs, milk, vanilla and applesauce together. 4. Add in the cinnamon, brown sugar, flax seeds, and oats. 5. Slowly add in the flour and stir until combined. 6. Mix in the walnuts, raisins and apples. 7. Spread into the 9x13 pan. 8. 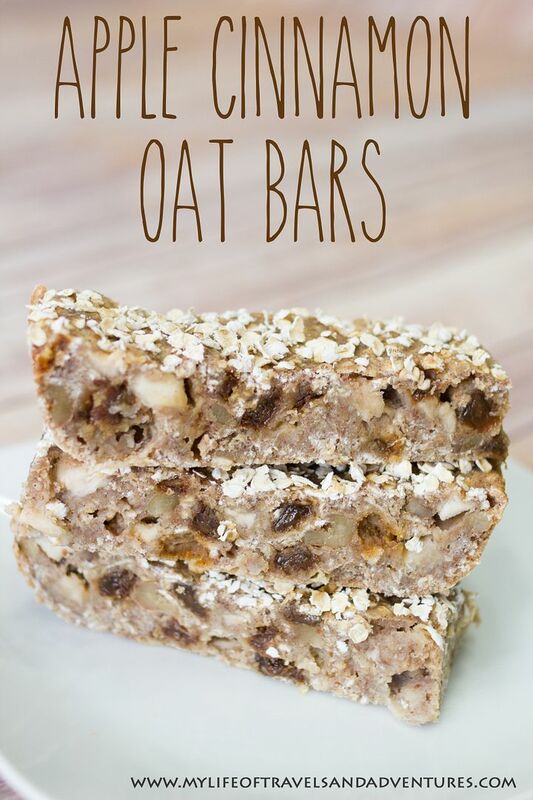 Sprinkle with a few oats. 9. Bake for 30 minutes. 10. Let cool before cutting. these look delicious and i love the circle flowers you made too. found you via pinworthy projects now following you on fb and pinterest. These look amazing! 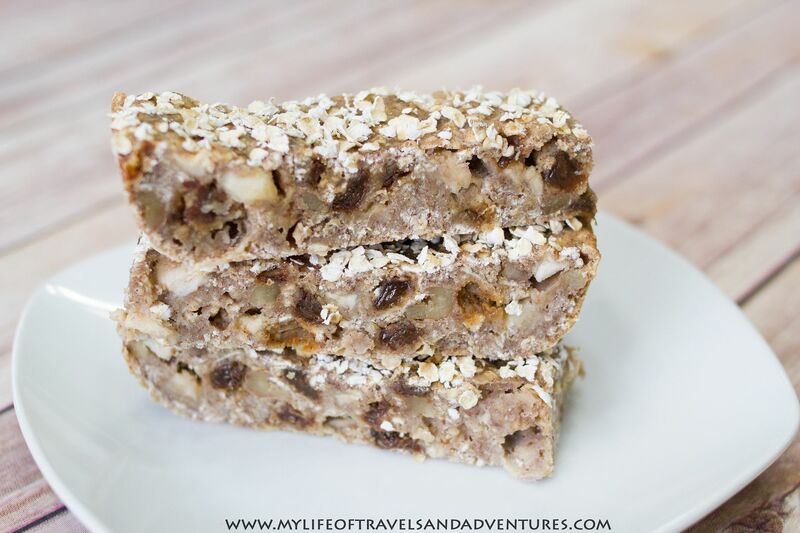 Perfect for a quick snack or breakfast on the go! yum!